My latest body of work corresponded to a solo show at Haw Contemporary in September, 2016. "Memorial" is an introduction of new subject matter, as well as a re-contextualization of several previous themes. 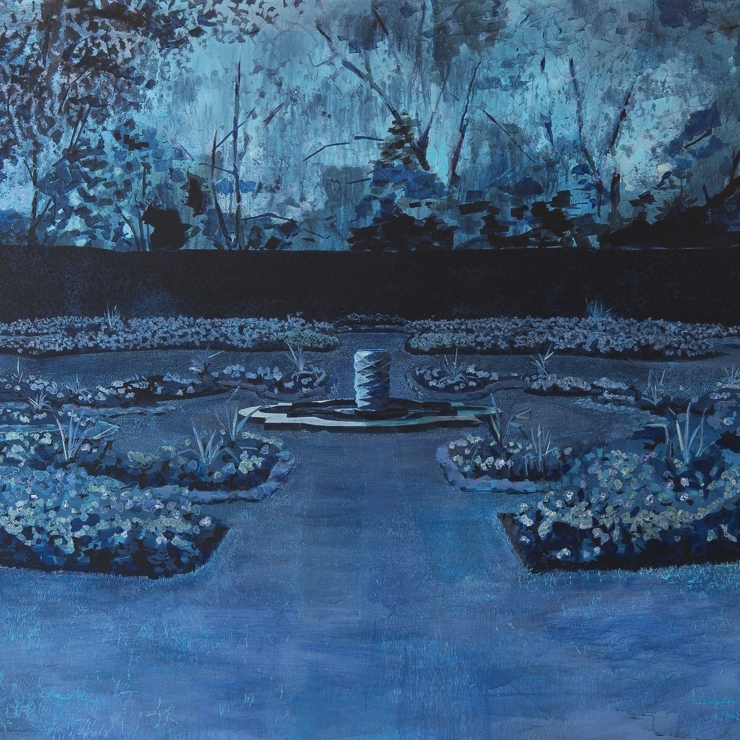 The "Night Pools" series began in 2014 with an eponymous solo show at the Nerman Museum of Contemporary Art. 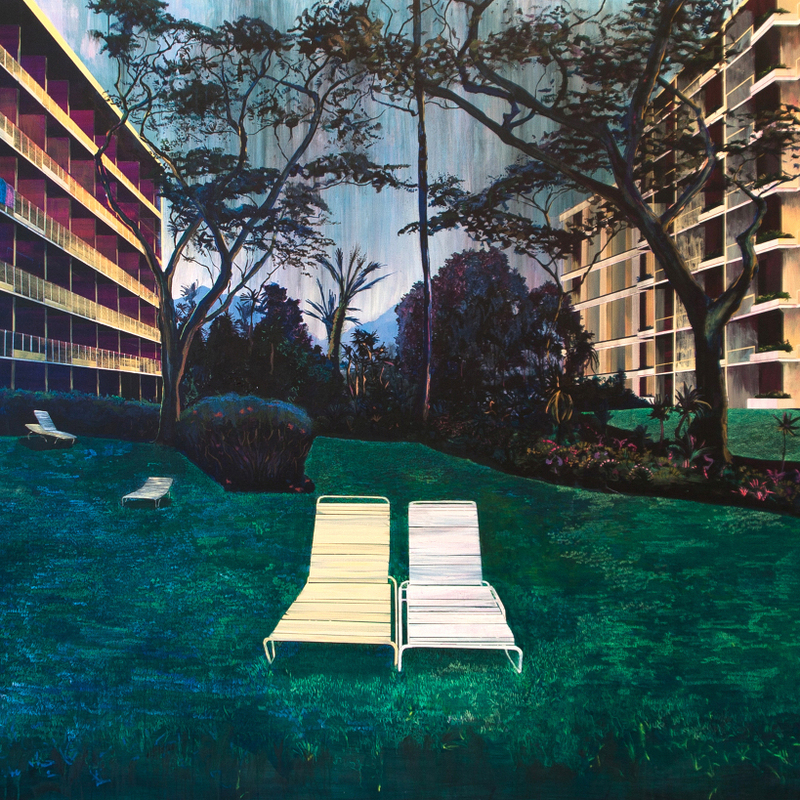 A follow-up show of the four largest pools to date, entitled "Until It's All You See", was exhibited in 2015 as part of a residency at the Studios Inc.
From time to time, I will paint portraits of palm trees. To be specific, the sixteen most cold-hardy species of palm, as they are most likely to survive in the winters of Missouri, where I live. Each painting's palette corresponds to the colors printed in the spreads of women's clothing catalogs that have been delivered to my home, addressed to my wife. 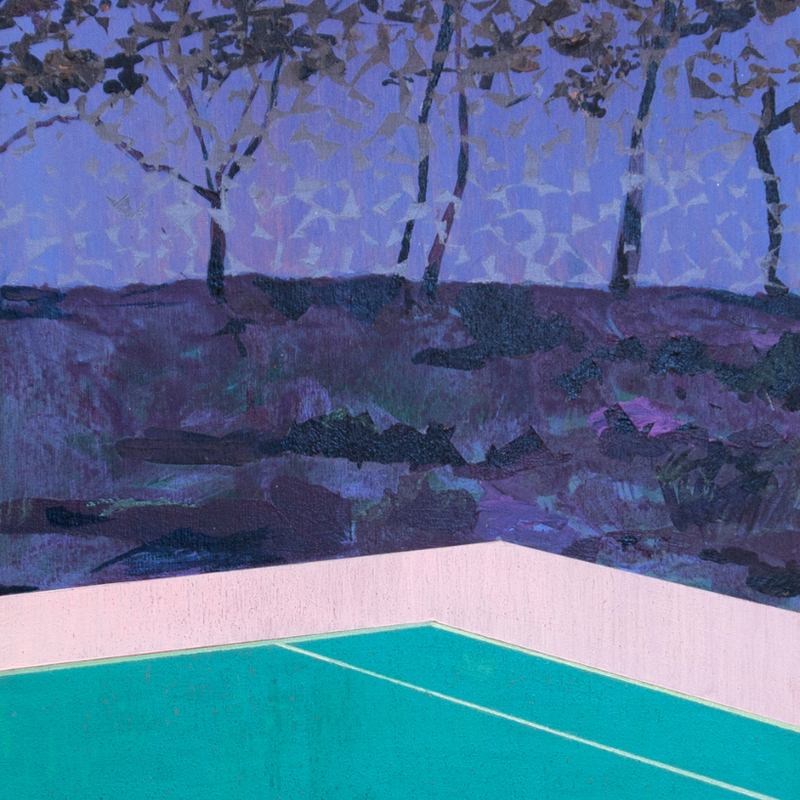 Three paintings made of a fictional ping pong table, made as a testament to the power and aura of table tennis. I have long aspired to paint the tennis courts David Foster Wallace might have deemed appropriate for the cover of a book. An ongoing, fruitless search. It is difficult to imagine the depths of despair into which those can be driven who, even after the end of the working day, are engrossed in their intricate designs and who are pursued, into their dreams, by the feeling they've got hold of the wrong thread. All night sheetlightening quaked sourceless to the west beyond the midnight thunderheads, making a blueish day of the distant desert, the mountains on the sudden skyline stark and black and livid like a land of some other order out there whose true geology was not stone but fear.